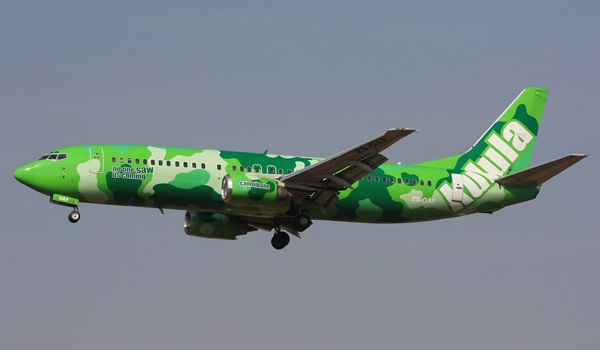 Air France announced a codeshare partnership with kulula.com, South Africa’s largest low-fare airline. This is for kulula.com the second codeshare partnership with a SkyTeam Alliance member following the implementation of the codeshare agreement signed with Kenya Airways earlier this year. Under this partnership, Air France will add its AF code to kulula.com’s domestic route network allowing customers to seamlessly connect to and from Cape Town, Durban, George and East London and enjoy the benefits of purchasing a single Air France ticket with the convenience of one-stop check-in and baggage transfer. In addition to the above benefits, in the future, premium Air France customers will have access to the award winning SLOW lounges conveniently situated in the domestic terminals at OR Tambo International, Cape Town International and King Shaka International airports. Air France and kulula.com further confirmed that discussions were underway to include the Flying Blue Frequent Flyer Programme which would allow members of the programme to accrue and redeem miles on the code share flights. Bookings will open for sale at a later date, pending the South African Department of Transport’s regulatory approval.